Paul Adams and Justin Ontong revealed they wouldn’t have been cricketers without the Mini Cricket programme. Ontong is celebrating his 20th year as a professional cricketer this coming season, and it’s been an illustrious one. He’s represented the Proteas in all three formats, and he’s won numerous trophies for the Highveld Lions and the Cape Cobras. He’s one of 2.5-million people over the past 35 years who can say they were introduced to cricket thanks to the Mini Cricket programme. However, he’s only one of 124 in that figure who can say he (or she) have gone on to represent the national team. 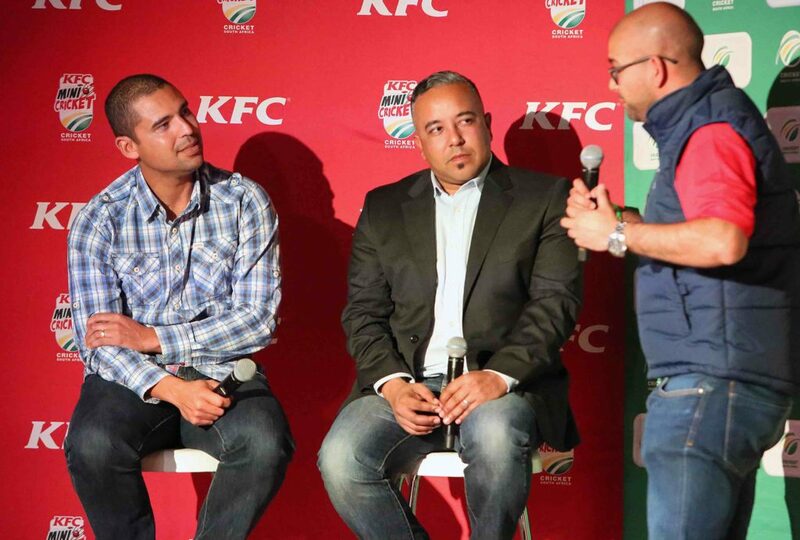 Two decades on, his passion hasn’t diminished, and when he was invited to talk at the KFC Mini Cricket National Seminar in the Drakensberg, it instantly brought back memories of where that passion originated. KFC Mini Cricket is the biggest grassroots development programme in the country, and over 9 000 coaches take time out of their everyday schedules to share their knowledge of the game to over 120 000 kids across the country. Ontong was one of those kids, and on Monday, he addressed the coaches who have put so much time and effort in to laying the foundations for thousands of hopeful youngsters. ‘Mini Cricket is where your passion gets instilled in you at a young age,’ Ontong says. ‘It reminds me of how I was back then; I just wanted to play, but it was the coaches who instilled that passion in me. Paul Adams is another one of the 124 kids to have gone on and represented their country. The former Proteas spinner, who played 45 Tests for the side, admits that he grew up in an ‘abnormal society with no sport to play,’ and without the ‘spark’ from Mini Cricket, he wouldn’t have been able to sit alongside Ontong at the seminar. ‘Mini Cricket is where that spark starts,’ Adams says. ‘If there wasn’t a coach to put that spark inside of me I wouldn’t be sitting here. Over the past six years, KFC and Mini Cricket have worked together to increase the number of participants substantially, with 40,000 more kids taking part annually. And the results are tangible. Over 1 280 players have been directed to performance hubs over the years, and when South Africa won the U19 World Cup in 2014, 12 of the 15 squad members began their trade at Mini Cricket level.